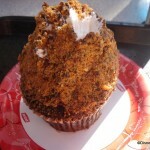 The Disney Food Blog’s “Walt Disney World Cupcake Crawl” Strategy: Visit five locations and eat 10 different cupcakes! 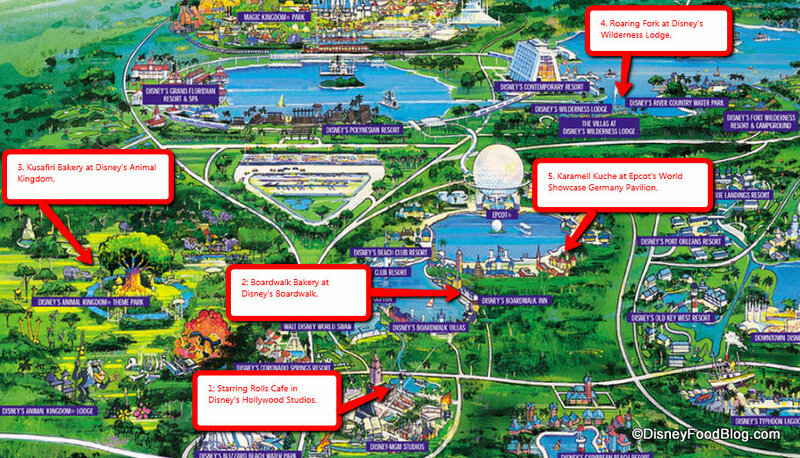 All credit here goes to the Disney Food Blog. 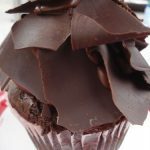 Chocolate Peanut Butter Cupcake: A towering dark chocolate delight. 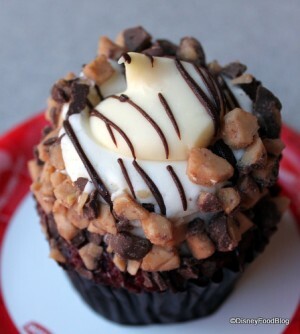 Red Velvet Cheesecake Cupcake: Rich red velvet cake is covered in heavy cream cheese frosting. 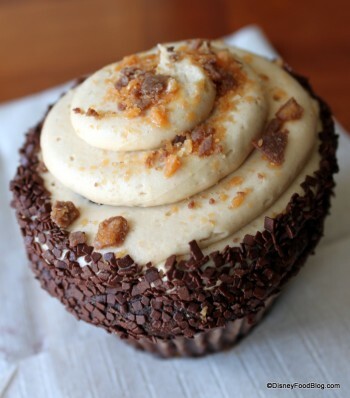 Butterfinger Cupcake: This mountain of a cupcake couples chocolate cake and chocolate fudge filling with buttercream frosting covered in Butterfinger candy crumbles. Marble Cupcake: Marbled vanilla and white cake stuffed with chocolate fudge and covered in buttercream. 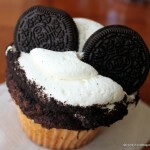 Oreo Bon Bon Cupcake: A fluffy, chocolate cake confection is stuffed with cookies and cream buttercream icing and topped with vanilla. 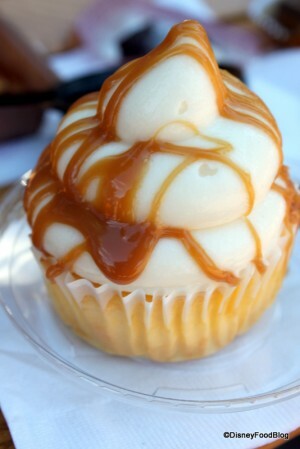 Peanut Butter Cupcake: Peanut butter frosting… YUM!!!! Strawberry Shortcake Cupcake: The filling is strawberries instead of frosting. 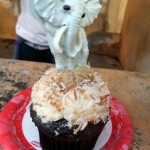 White Chocolate Elephant Cupcake: Rich frosting with chocolate cake and toasted coconut, and a centre of frosting. 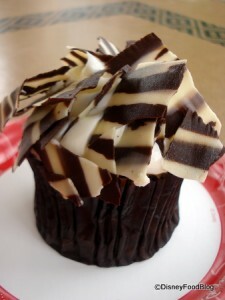 Zebra Cupcake: Stripes of white and dark chocolate are shaved and placed on the cupcake to give the “essence” of Zebra. 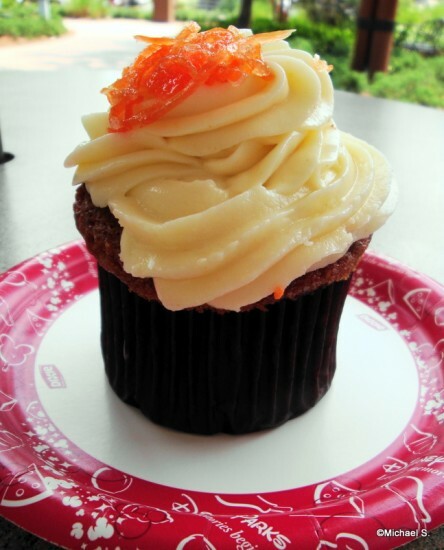 Carrot Cake Cupcake: A carrot cake base with some of the best cream cheese frosting. 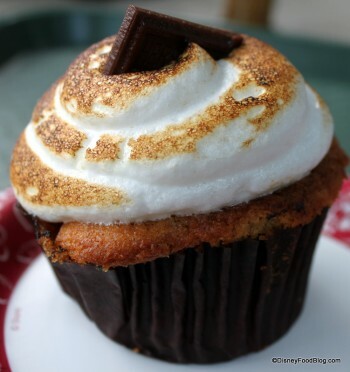 S’mores Cupcake: Graham cracker-flavored cake with toasted marshmallow frosting and Hershey Bar squares in the center. 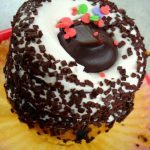 Vanilla Caramel and Chocolate Caramel Cupcakes: These treats are topped with frosting the same flavor as their cakes, then drizzled with Werthers’ incredible caramel! Yum, I might do that near me! Obviously, they wont look half as nice as these but it sounds fun to do!